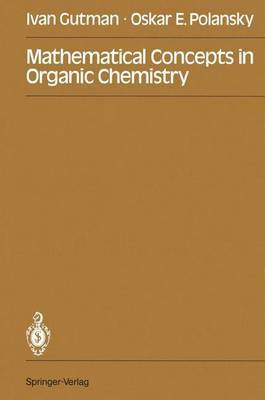 The present book is an attempt to outline some, certainly not all, mathematical aspects of modern organic chemistry. We have focused our attention on topological, graph-theoretical and group-theoretical features of organic chemistry, Parts A, B and C. The book is directed to all those chemists who use, or who intend to use mathe- matics in their work, and especially to graduate students. The level of our exposition is adjusted to the mathematical background of graduate students of chemistry and only some knowledge of elementary algebra and calculus is required from the readers of the book. Some less well-known. but still elementary mathematical facts are collected in Appendices 1-4. This, however, does not mean that the mathematical rigor and numerous tedious, but necessary technical details have been avoided. The authors' intention was to show the reader not only how the results of mathematical chemistry look, but also how they can be obtained. In accordance with this, Part 0 of the book contains a few selected advanced topics which should give the reader the flavour of the contemporary research in mathe- matical organic chemistry. One of the authors (I.G.) was an Alexander von Humboldt fellow in 1985 when the main part of the book was written. He gratefully acknowledges the financial support of the Alexander von Humboldt Foundation which enabled his stay at the Max-Planck-Institut fUr Strahlenchemie in M iilheim and the writing of this book.